What is the largest tile possible in 2048? I can get to 4096 max. There are videos on youtube of guys making it to 8192. What is the theoretical maximum limit on this? 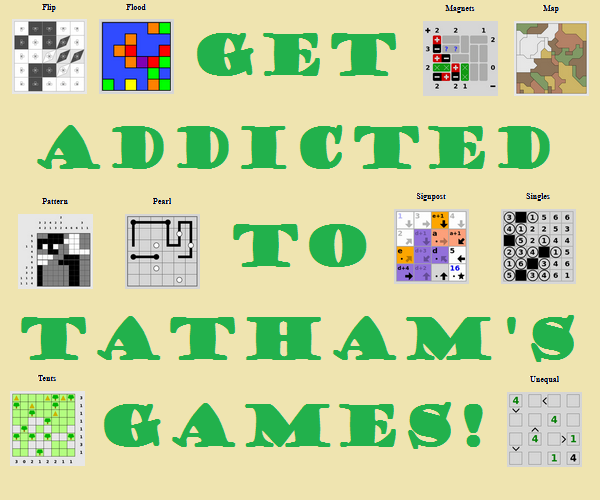 PS: if you haven't played this, here is the link to addiction. In the original game, sometimes the new tile that pops up is a 4. Let's ignore that possibility for the sake of simplicity. Next is 131072 which will require at least 17 tiles which can't fit on the board. So, the largest possible tile is 65536.
that's 16 tiles in total. 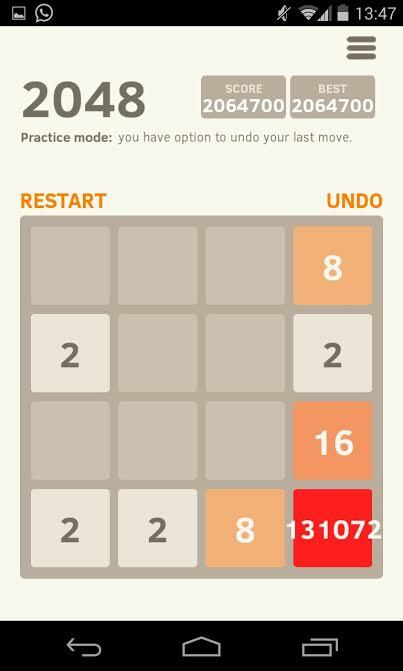 I will prove that 65536 is the maximum when 2 is the only tile which appears newly on the board. It is easy to adapt the proof to show that 131072 is the maximum when 4 may also appear. 1. Proof that 65536 is an upper bound. At every step of the game, the total value among all tiles goes up by 2, or stays the same. Suppose towards contradiction that at some point in time the 131072 tile is attained. That at this time the sum of all the tiles is at least 131072. Thus at some point in time, the sum of all the tiles was exactly 131070 (= 131072 - 2). Then at this time there was a set S of at most 16 powers of two adding to get 131070. Recursively adding together pairs of equal elements of S until all the elements are distinct (i.e., adding them as if they had combined in the game), we obtain a set R with at most 16 distinct powers of two adding to get 131070. But 131070 = 2^16 + 2^15 + 2^14 + ... + 2^1 cannot be written as a sum of anything less than exactly 16 distinct powers of two (using unique representation in binary). Therefore the set S must have initially consisted of one each of the numbers 2, 4, 8, ..., 2^15, 2^16, and the entire 4x4 grid must have been filled. But then the position would have been a losing position, i.e. no two tiles could have combined and there was no space left on the board. Contradiction. 2. Proof that 65536 is theoretically possible. Call a board state "ideal" if it has the following properties: (1) the tiles that are filled are exactly 16, 15, 14, ..., k for some k, and (2) if two tiles a and b are on the board, with a located on a bigger label than b, then the value of tile a is greater than the value of tile b. This matches the general pattern of the picture above. We will be able to follow this strategy continually as long as there is no 65536 tile on the board. Moreover, the total value of all values on the board will do nothing but increase. Therefore, at some point we will either reach a 65536 tile, in which case we will be done, or we will reach an ideal state with the total value of all tiles equaling at least 65536. Since no set of unique tiles less than 65536 can add to 65536 or more, and since an ideal state contains unique tiles, this is a contradiction and we will necessarily reach the 65536 tile at some point. Okay, so I actually made it this far (no photoshop or anything, just a secret trick and play endlessly without any hassle. It works for long time also on normal mode, until you make a mistake). First, always corner your highest tile. This is very important, as this gives you the maximum space to play the game. Since all the middle tiles are surrounded by 4 tiles, the corner tiles are the ones which have minimum contact with the other tiles. If your highest tile is somewhere in the middle, it only acts like an obstruction, so keeping it aside is the best move. Like in the above screenshot, 131072 is in the top left corner. Ordering your tiles is also a good strategy. Like see how I have ordered my tiles in descending order. It creates minimum wastage of big tiles and less blockage for small tiles. Secondly, "stick" to a wall. This is the trickiest part. Like seriously, stick to the side of a chosen wall. I had chosen the top wall. Try not to disturb the tiles along the wall. For example for sticking to the top wall, do not swipe down. It works since once your tiles are made, and as you progress, not only the biggest tile will obstruct, but also the tiles just before it also do it's job. Also sticking to a wall makes way for smaller tiles and they could be merged and made off into bigger tiles more easily. This ensures uniformity and a clean game. Another thing to ensure is blocking. Never block a tile and make it useless. Remember, unusable spaces are the steps to defeat. Moves will always be available if none of your tiles are blocked. For example, if a 2 gets cornered, on the top right and you stick to the upper boundary, do not make your 2 just sit there. Merge it first and ensure this with other tiles. No tile should block your flow. I personally prefer to use minimum number of undos, but sometimes when the only move is to go down, or when things go tight and in order to go further and create a tile, you do have to undo. That is the luck part which gets eliminated in practice mode. In normal mode just try to play perfectly and follow your strategy. Your score in normal mode is literally pot luck. We can simplify 2048 by discarding the layout and focusing on a multiset (or bag) of tiles. We can do this, if we assume that a new tile will always appear in a position that is most advantageous to us. Combine one or more pairs of tiles of equal value into tiles of double that value. Add a 2-tile if there's an empty slot. Rule 1 is optional, rule 2 is mandatory. If rule 2 fails, we stop. From this, we can infer that for a table of size $n$, the maximum value attainable is $2^n$. 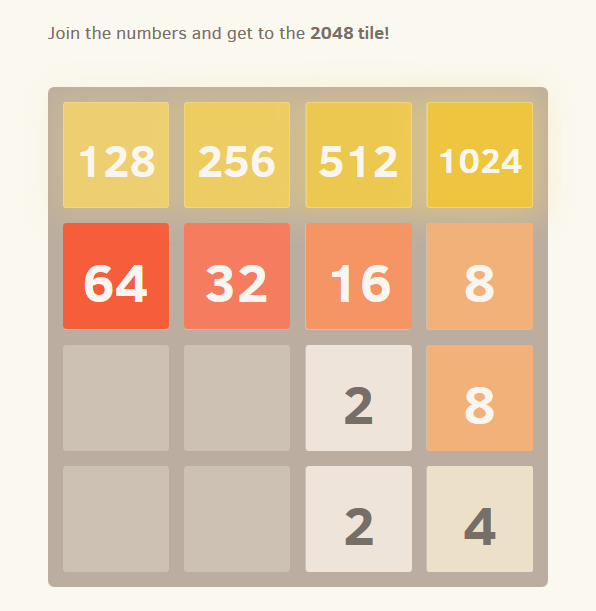 For a standard 2048 game, assuming only 2-tiles appear, this means the maximum tile value is 65536. If we allow 4-tiles, 131072. †: Drawing those arrows isn't easy and would've made for a less clear diagram. Not the answer you're looking for? Browse other questions tagged game 2048-game or ask your own question. Is 2^18 in 2048 possible? 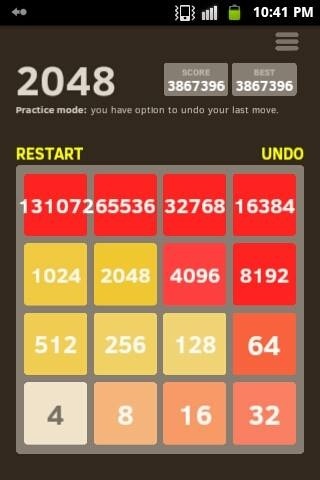 What's the minimal time needed to get the highest possible sum of tiles in 2048? What is the lowest you can get in 2048?